Yasmin is a Registered Veterinary Nurse. 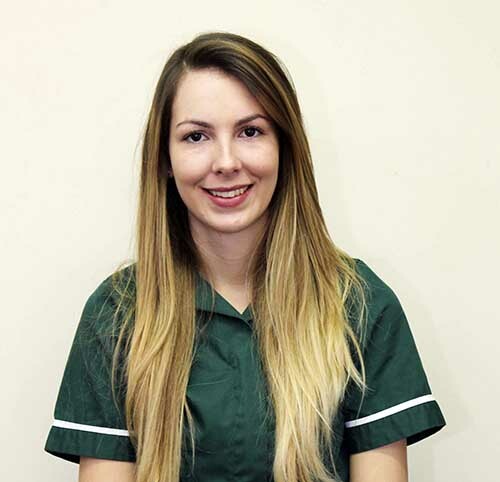 She has recently re-joined the team after some time away working in a Veterinary Referral Centre. Yasmin completed her Veterinary Nurse Training here via the apprenticeship route. She loves to look after the inpatients and is enjoying nursing the variety of different species and cases that come into Quantock Veterinary Hospital. Away from work Yasmin is kept busy with her two naughty Dachshund puppies, called Lottie and Dottie, as well as her big Labrador cross, called Meeka.